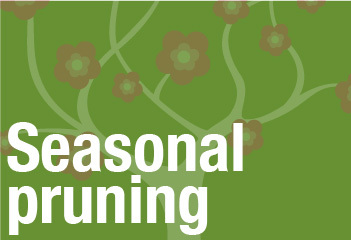 Seasonal pruning – plants have particular seasons when pruning is most beneficial, we can do all the major pruning you need you keep your garden looking good. Don’t neglect your garden in the winter as this is the best time for deciduous shrub and tree pruning if you want them to be at their best the following year. We can offer a monthly or seasonal pruning service and this will take away the worry of your garden getting out of control.